We see technology as a catalyst for creation. Never content with simply adopting the latest innovations, we carry them forwards, taking them in surprising and imaginative directions. Our approach to technology is always dynamic, never static. Rather than applying technologies in their existing forms, we see them as inspiring starting points for new developments. Always projecting forward, we think creatively and laterally, re-working and re-imagining the latest advances. We go beyond applying advanced technology. We make it integral to our bold new ideas and vehicle development. The driving experience is always on the move, evolving in new ways. We’re harnessing the power of technology to take it forwards. The future is ours to realise. Incredible efficiency. Lower emissions. Responsive power. An uncompromised luxury driving experience. Our leading hybrid technology remains at the forefront of innovation. Cutting edge technology isn't enough. It must be executed to the highest level. 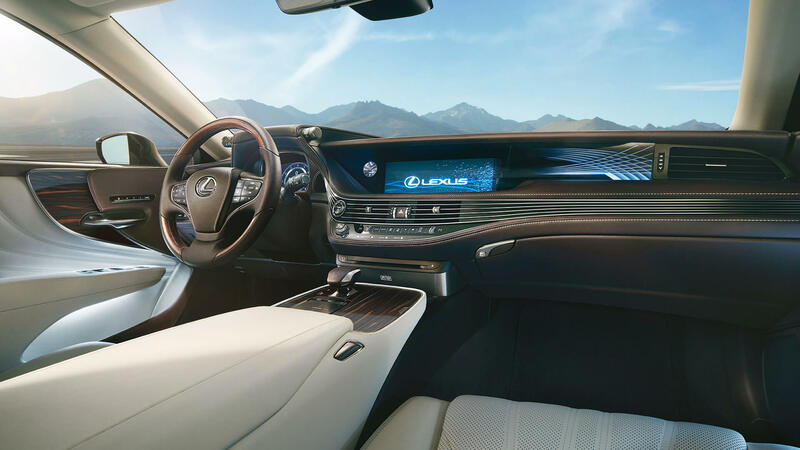 Across the Lexus range, you'll find leading innovation fused with the ultimate in luxury.